Normally, it's not news when Star Trek Online releases a new playable starship. After all, over six years in operation Cryptic's Trek-themed MMO has added hundreds of ships to shoot aliens with. However, this is no normal ship. It's the ship, the original Star Trek series Constitution-class starship, and it's Star Trek Online's white whale. Sort of. Mind you, that class of starship has been technically "playable" in the game since its 2010 launch. In fact, it was a preorder bonus for back when Star Trek Online was sold as a retail product. The problem was, its stats were locked at a pitiful "Tier 1," barely better than the tutorial starship every new captain gets. 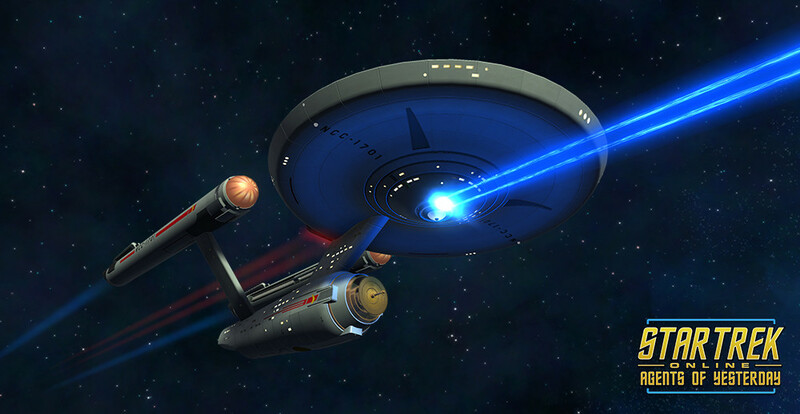 For years, players have clamored for the affectionately named "TOS Connie" to be re-released with attributes suitable for the highest level of play, Tier 5 (and later, Tier 6). And also for years, Cryptic has answered with a flat "no," supposedly because CBS, owners of Star Trek, took a dim view of having Kirk's old girl being able to go toe-to-toe with starships centuries more advanced. Something must have changed since then - a certain TV show's fiftieth anniversary, perhaps - because the TOS Connie is finally getting a Tier 6 edition, allowing original series fanatics to get their top-tier DPS on in the ship that started it all. Of course, there is a catch, though: The ship is only available as a rare bonus reward from opening premium crafting materials loot boxes sold between August 25, 2016 and September 15, 2016. This limited method of delivery automatically ensures that the ship will be one of the rarest in the game, far less common than anything normally available in STO's premium shop or the regularly released "lockbox" promotions. Players unwilling to try their luck with RNGesus should also be able to buy the ship for in-game currency at the auction house, but since that place's prices are set by players, it probably won't go cheap.